Reading is amazing. It’s a way to learn, a way to connect, and a way to escape. In this post, you’ll find resources to support your long distance relationship and others to share with your partner while you’re apart. If you are new to the realm of long distance relationships (LDRs,) don’t panic! Many people survive them and plenty of folks thrive with them. But let the record show that adjusting to LDR life is neither easy or nor quick. It’s okay to have tears, be frustrated, and ride the struggle bus for a bit. Fortunately, those who’ve gone before have written books to help you through the challenges you face. If this is your first LDR, pick up How to Make Your Long-Distance Relationship Work and Flourish: A Couple’s Guide to Being Apart and Staying Happy by Tamsen Butler. If you want to see an example of how another couple handled their LDR, try Long Distance Relationships: Online Relationships to Military Relationships, surviving love from afar by Sam Lawrence & Ben Jackson. 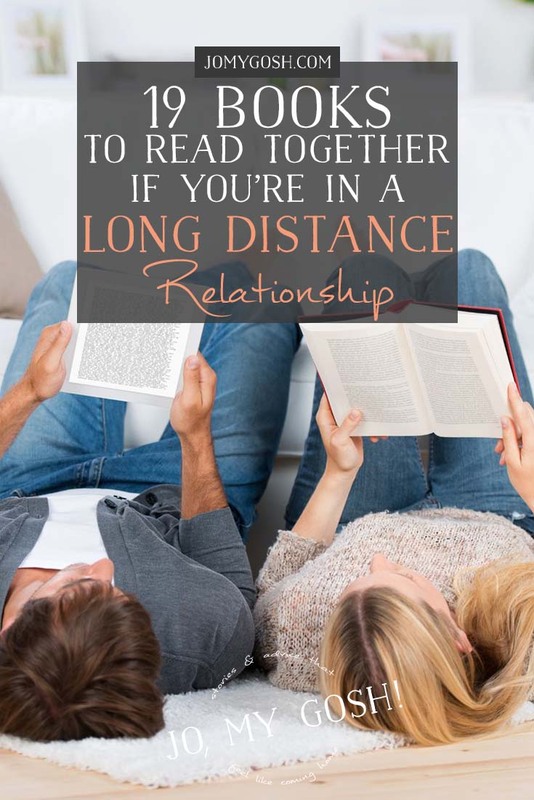 If you’re looking for strategies to manage your LDR, read The Long Distance Relationship Survival Guide: Secrets & Strategies from Successful Couples Who Have Gone the Distance by Chris Bell. If you feel like you need to take inventory of your relationship and reassess to improve it, borrow Intellectual Foreplay: A Book of Questions for Lovers and Lovers-to-Be by Eve Eschner Hogan. If you’re facing your first deployment, grab Separated By Duty, United In Love: Guide to Long Distance Relationships for Military Couples (Revised & Updated) by Shellie Vandevoorde. Another great option is reading together. Sharing a book is a great way to enjoy something across the miles and feel connected by a story. Set a schedule that works for you and chat about what you read. Maybe you’ll finish a chapter every three days and then check in, or two chapters per week before you reconvene–whatever works, go for it and enjoy not only the story you’re reading, but hearing your partner’s commentary and discussing your thoughts on the book. Below are just a few suggestions for fiction to share. If you like magic and love, try The Night Circus by Erin Morgenstern. If you enjoy mythology, check out American Gods by Neil Gaiman. If you dig video games and pop culture, grab Ready Player One by Ernet Cline. If history and puzzles are your jam, read The DaVinci Code by Dan Brown. If you need some adventure and wisdom, pick up The Alchemist by Paulo Coelho. And here are just a few non-fiction books to get you started. If you need some perspective and ideas about how to manage stress, try the ever-popular Don’t Sweat the Small Stuff . . . and It’s All Small Stuff: Simple Ways to Keep the Little Things from Taking Over Your Life by Richard Carlson.